Their musicals careers were not something they were always confident of, nonetheless between them they five multi-platinum albums to date, and DJ has had three sold-out concerts since 2013. 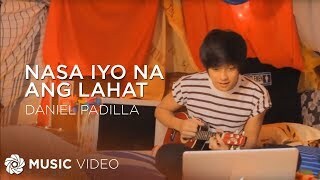 Daniel Padilla performing Nasa Iyo Na Ang Lahat from 2013 Himig Handog P-Pop Love Songs. The official music video of ABS-CBN's 2015 retelling of Pangako Sa'yo starring Teen King Daniel Padilla and Teen Queen Kathryn Bernardo. 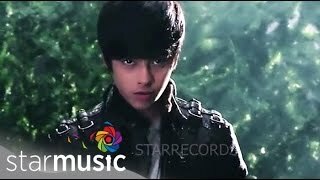 Latest music video from DJ's album "I Feel You"
Watch the official music video of Teen Queen Kathryn Bernardo's hit single, You Don't Know Me. The following year, again in front of a jam-packed Araneta Coliseum, he had a more intimate concert singing Franck Sinatra and Michael Buble along with his staple of hit songs and serenading Kath with his renditions of “It Might Be You” and “The Way You Look Tonight”. His latest stage outing, “The Most Wanted Concert” held at the MOA Arena last June 2015, showcased DJ’s growing confidence as a singer. His repertoire for this show included songs from his latest studio album, “I Feel Good”, John Legend’s “Save Room”, Louis Armstrong’s “What A Wonderful World”, and Michael Buble’s “Quando, Quando”. As soon as she released her self-titled studio album, Kath has been bombarded with questions on when she will stage her own solo concert. Due to her hectic schedule, no date has been finalised, but the entire KathNiel fandom is already giddy with anticipation for this concert. Teen Queen Kathryn Bernardo celebrates her 19th birthday on ASAP. Teen Queen Kathryn Bernardo sings Taylor Swift's newest hit, 'Blank Space' on ASAP. As mentioned, their studio albums have been certified best-sellers. Kath’s first studio album sold more than 7,000 units in one day whilst DJ’s albums have been consistent multi-platinum records. Although “I Feel Good” is only listed as a Gold record awardee, Star Music executives have consistently posted Instagram pictures of this topping the charts – a Platinum Award is on its way, that’s for sure.